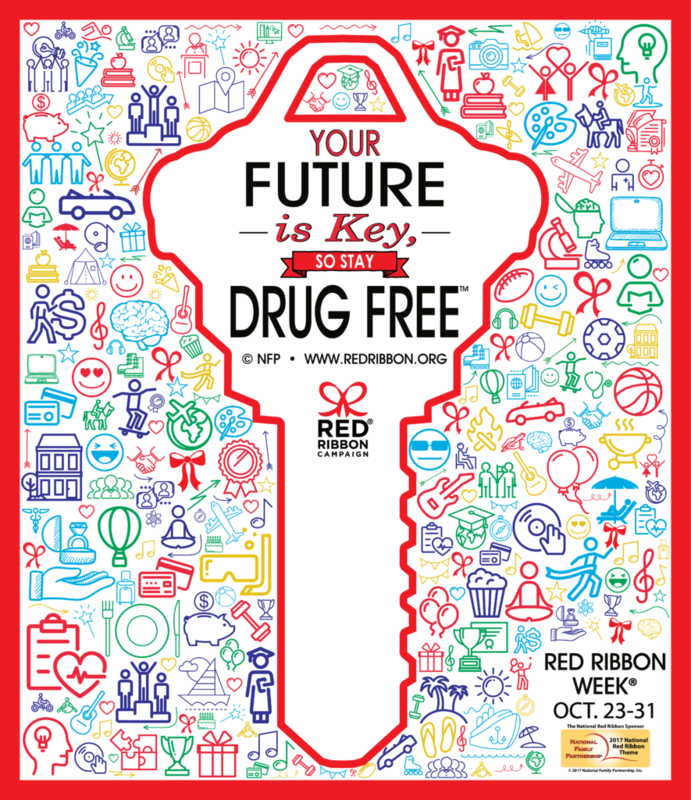 IT’S RED RIBBON WEEK® (OCTOBER 23-31)! 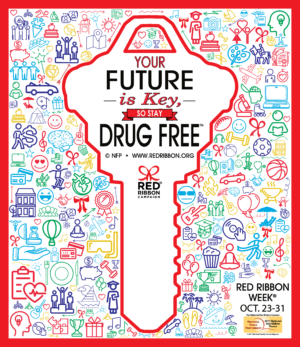 The Red Ribbon Campaign® is the oldest and largest drug prevention program in the Nation and a way for people and communities take a visible stand against drugs. We want to help our nation’s children reach their full potential. Educate, educate, educate. It’s not just about wearing red or crazy socks. Here are some curriculum ideas for each grade level. Enter our photo contest. It’s a great way to get the conversation started and it also supports schools across America. Take a stab at creating next year’s theme. You’ll get national recognition and lots of free Red Ribbon merchandise.